Greece is, undoubtedly, the destination you need to choose as it is one of the most romantic places around the world and one of the most famous honeymoon destinations in Europe! The breath-taking sunsets and beautiful beaches along with the mystique aura and picturesque surroundings of the Greek islands all come together to spring the romance, the serenity and the elegance that any wedding should have! What about the time? Well, spring is a very popular wedding season, so if you are planning to get married around May it’s time for you to begin preparations. 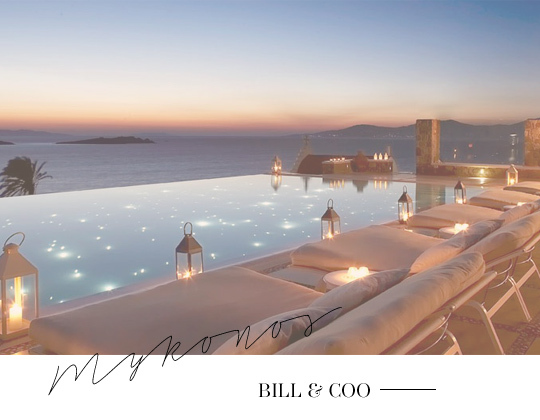 Cherish the most special moments of your honeymoon at Bill and Coo, the ultimate nest of romance, a luxury boutique hotel emanating serenity, comfort and elegance! Don’t miss your chance to fully unwind at the hotel’s Honeymoon Deluxe Suite overlooking the Aegean. Paros is a place with rich history, well known for its traditional architecture, the Aegean blue, the bright white and the relaxing aura. 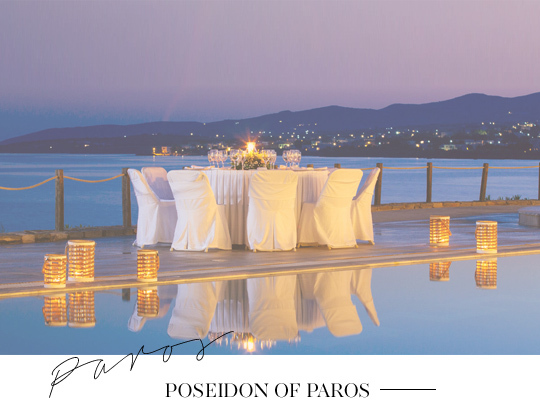 Poseidon of Paros offers you the perfect starting point to begin your lives together. A 4 star hotel complex in Paros Island, where you can organize your wedding by the Golden Beach and create memories to cherish for a lifetime! Kardamili is a wonderful coastal village in Mani located in the greater region of Messinia known for its crystal blue waters, the tall trees, the olive groves and green hills forming a magnificent landscape! 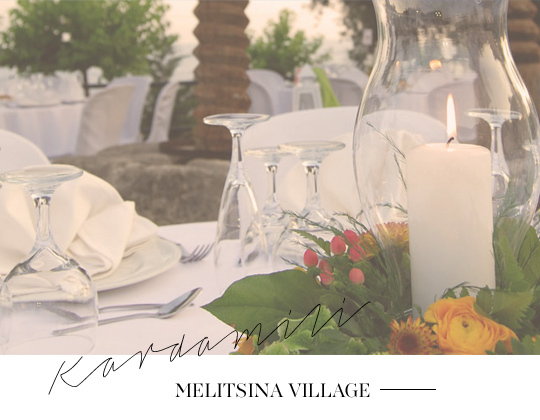 In Kardamili you will find the 3 star beachside hotel Melitsina Village that will take your breath away with its heartwarming environment and high quality amenities. Let the experts organize for you a dream wedding reception by the beach or a traditional Greek wedding in a picturesque chapel while enjoying the best days of your life. Crete is a place combining its rich history, archeological splendor, exceptional cuisine and hospitality with its vivid nightlife and incomparable natural beauty. Agios Nikolaos in Crete offers the best choice for your honeymoon as it boasts the dreamiest scenery for your big day. 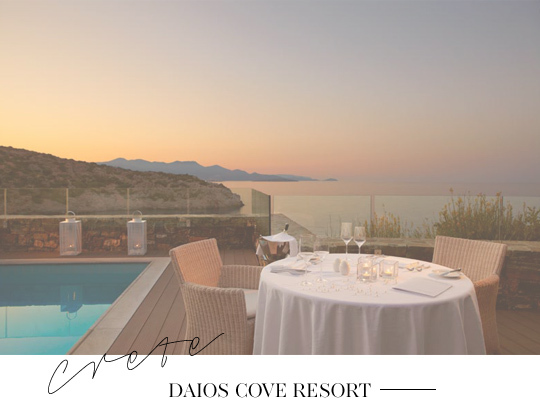 Enjoy your stay at Daios Cove Resort and experience the most luxurious honeymoon with the hotel’s exclusive honeymoon packages at a suite of your choice. Equally spectacular, the region of Chania, boasts a magnificent medieval atmosphere that will turn your honeymoon into a tale made for Knights. 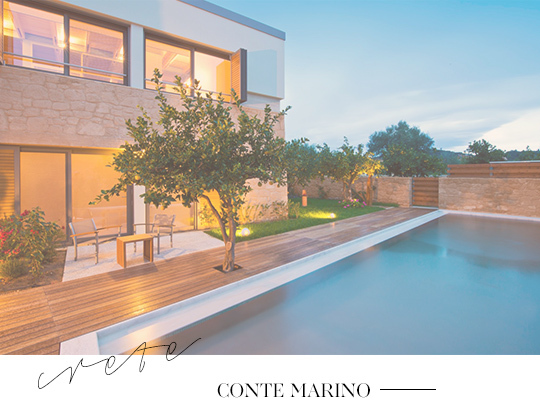 Lose yourself amidst the remarkable mansions and Venetian houses, the old town and Venetian port and unwind in the warm and stylish environs of Conte Marino Villas as you watch your dreams come to life. Ouranopolis is a charming fishing village in Halkidiki near Mount Athos, combining the blissfulness of the mountains with the serenity of the sea for travelers in search for a relaxing and unforgettable holiday. 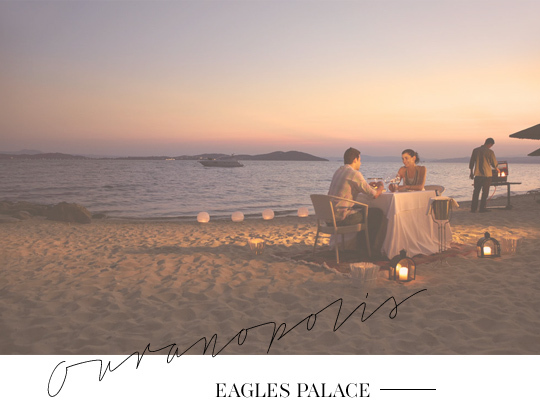 Eagles Palace offers the perfect place for elegant beach weddings by professional wedding planners that are going to make your wedding a day to remember. Benefit from the hotel’s exclusive honeymoon packages and enjoy the most romantic period of your life in a haven of serenity by the sea. Wake to the sweet smell of the sea breeze, step into the realm of the spa, relish the most mouth-watering culinary delights and partake in the most thrilling watersports adventures with your other half. Ios Island in the Cyclades is renowned for its vibrant nighttime scene, its exquisite Aegean architecture, its picturesque town and its golden sun kissed shores. 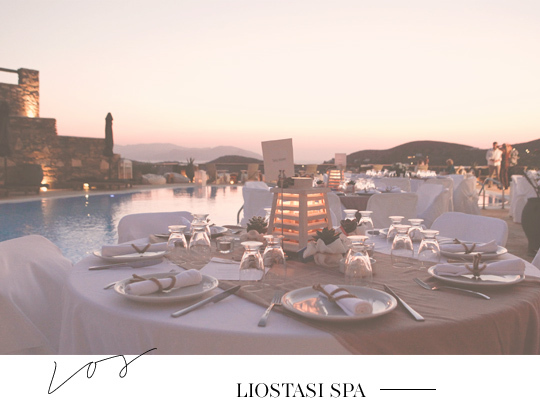 If you wish to spend your honeymoon in Ios, Liostasi Spa Hotel is the place for you. Indulge in a haven of hip elegance and experience a wedding beyond imagination with your family and friends at this one of a kind luxury boutique hotel in the Cyclades. Hydra is a small island in the Saronic and Argolic Gulfs, famous for its glorious history and cosmopolitan character. 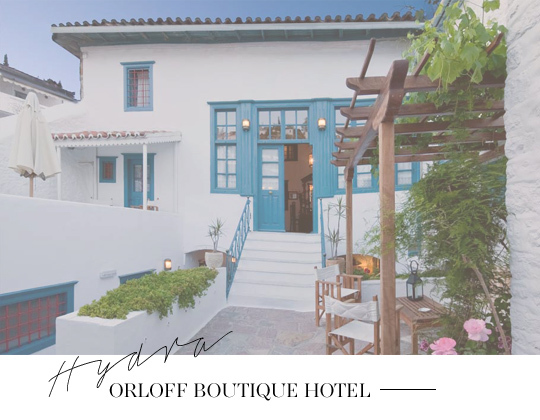 The Orloff Boutique Hotel is a traditional 4 star, historic hotel which provides you with the choice of the Honeymoon Junior Suite accompanied with breakfast in bed. Kos is one of the most charming islands of the Dodecanese, where you can wander through the ancient villages or spend a day in the sun at one of the island’s exotic beaches. 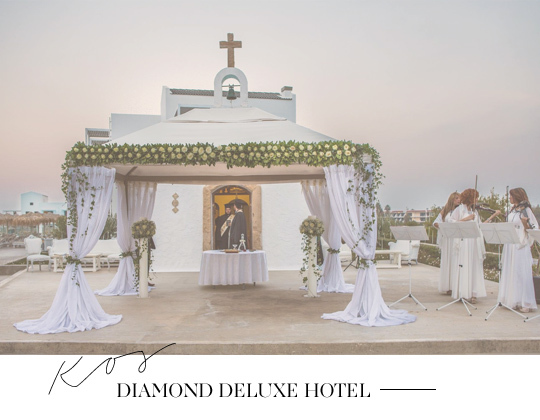 If you want to celebrate the wedding of your dreams, plan your stay at Diamond Deluxe Hotel, benefit from the exclusive honeymoon packages and make your wedding day a day of joy. Kefalonia is the largest of the Ionian Islands featuring some of the most beautiful beaches, landscapes and quixotic villages. 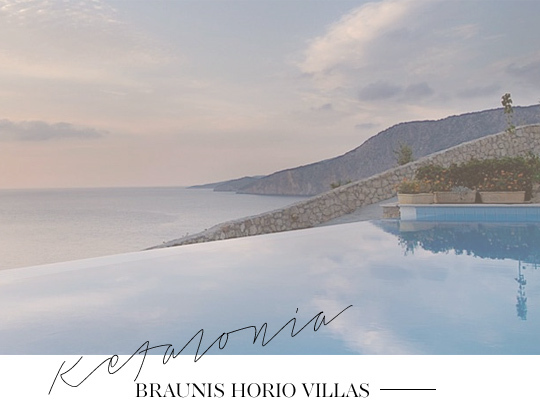 For a picture perfect honeymoon arrange your stay at the charming honeymoon villas of Braunis Horio in Kefalonia Greece near Myrtos beach and make the first days of your life as a couple last for a lifetime. Last but not least, Santorini is definitely the most romantic place on earth! Santorini’s volcanic caldera, the awe-inspiring sunset of Oia and the enchanting blue domed churches provide the perfect backdrop for a magical wedding in Greece! 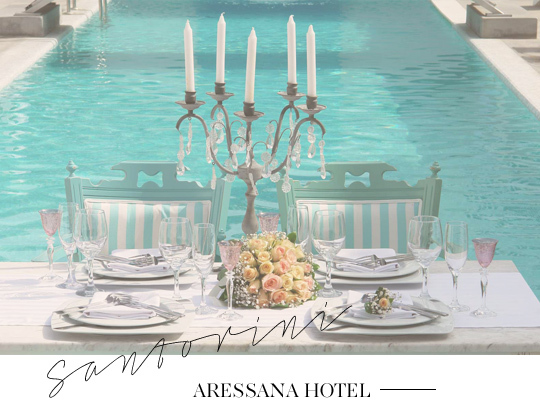 In order to celebrate a honeymoon made of dreams arrange your stay at Aressana Hotel leaving all planning details to the hands of the experts and be wed in style. This entry was posted in Crete, Cycladia Posts, Destinations, Dodecanese, Events, Halkidiki, Ios, Kos, Mykonos, Paros, Santorini, Saronic, Tourism Insight, Villas. Bookmark the permalink.